The Kennedy Center’s mission is to provide individuals and families in need with services, opportunities, and the tools they require to lead productive and fulfilling lives. 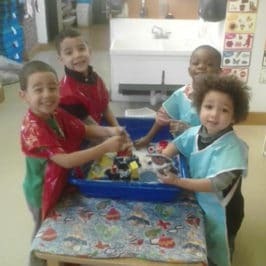 The Kennedy Center is a leader in the development and operation of high quality early education, childcare and educationally based after school programs. 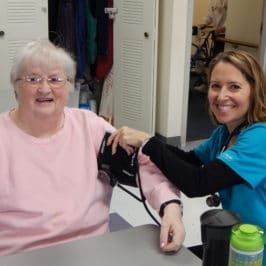 The Kennedy Center's mission is to facilitate seniors' independent living through services and activities that promote their health and well-being. Since 1964 the Kennedy Center has been providing social services that promote strong family values, individual prosperity, and positive community engagement. Despite an abundance of resources, food insecurity remains a growing problem in Charlestown. Although the February Vacation Meal Pack project was a success, the need for food remains. Thousands of individuals and families struggle to access affordable, healthy food on a consistent basis. Many families with school aged children are forced to rely on the school lunch program as their primary source of food throughout the year. Vacation week can be particularity challenging for these families, especially the children. 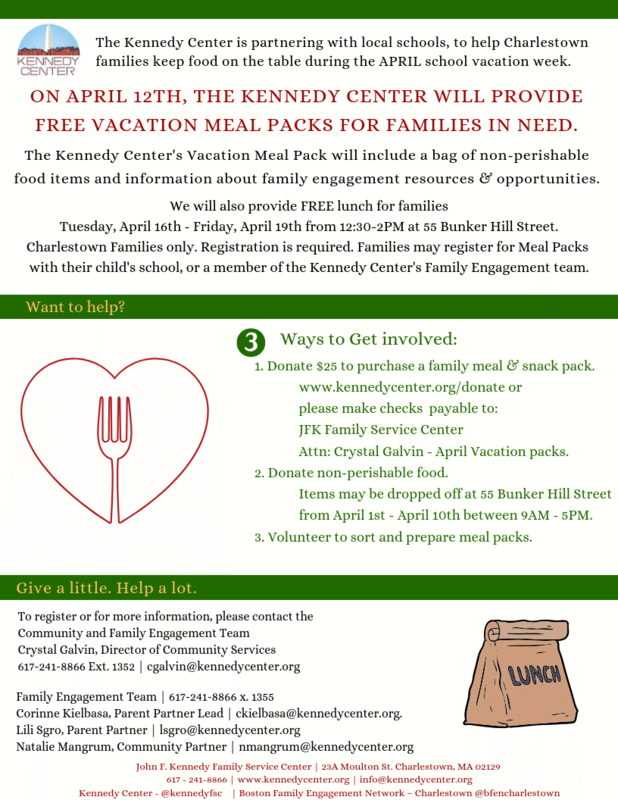 With your help, the Kennedy Center can help keep food on the table during the April School Vacation week. For $25 you can provide a family in need with a Vacation Meal Pack AND FREE lunch during the April break!